Subscribe to the weekly e-newsletter to receive these updates by email. 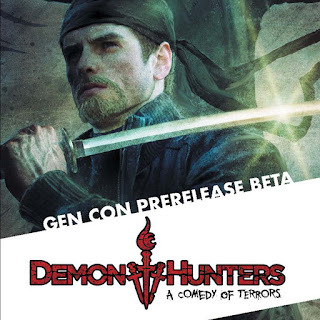 Dead Gentlemen Productions has released the beta of their new RPG Demon Hunters, A Comedy of Terrors in time for GenCon, but no worries if you aren't going to GenCon because you can download the whole thing for free. "If you like Fate Core and Fate Accelerated, you'll be right at home with this system." This is beta so they welcome your comments, questions, and concerns -- if you have any please post them to their G+ Discussion Community, their facebook page or you can send a direct email to Don Early at don.early@deadgentlemen.com. Don also hosted an informative RPG Workshop to give you a great sense of the game. Although they've announced that the JourneyQuest Season 3 Kickstarter will launch on Jan 18, 2016, it is still vital to the success of the Kickstarter that the #RenewJQ campaign reach at least 4,200 willing to pledge $100 or more when it launches. Link Master General is a bit obsessed with the JQ universe (as can be seen here, here, here, and here) and is happy to report that pledged email signups are closing in on 3,800. 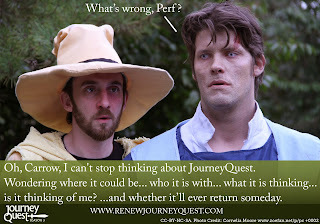 If you can commit, please sign up on the RenewJQ Email List. If you can't please help spread the word by screening seasons one and two with your friends, making your own JQ fan creations (if you do, please send a link to LMG! ), and/or share your ideas with other fans on how to boost JQ's signal. Carolina Game Tables - Sign up to win a free Game Table! Jodi and Clint Black of Beautiful Brains Books and Games have a special place in your LMG's heart, and I hope you'll find their upcoming venture, Carolina Game Tables, worth checking out and supporting. Clint is not only brand manager for Pinnacle Entertainment's Savage Worlds RPG, he also maintains a multi-generational furniture business. What a great way to combine his interests! From now through August 10th you can sign up to win a free game table (there are caveats, click the link for details). The following are news items by ZOE and affiliated productions published the week of July 21-27, 2015. Do you have ZOEverse news? Send it to zoefannet@gmail.com, post it to our facebook page, or tweet it to @zoefannet with the hashtag #ZOEVERSE. If we use it, we'll credit you in the post. 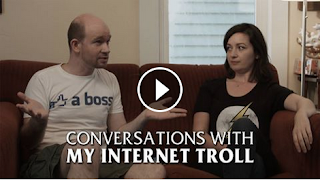 Thanks to Patreon support, ZOE released this month's spot-on comedy/satirical sketch Conversations with My Internet Troll (featuring Lisa Coronado and Nathan Rice). If you've ever spent any time reading the comments on social media you can relate. Patreon patrons are also able to access this month's live comedy improv courtesy Hat Trick Pony which explores family game night, and patrons can also expect exclusive video updates and Hang With broadcasts while they are at GenCon -- and ZOE is doing plenty of things GenCon. Tara Pratt (Wendy, Standard Action) recently shared her gifts for magic and maniacal laughter in this 1-800-GOT-JUNK commercial. Fans will also recall her pointing sorcery in this Dannon Yogurt commercial. 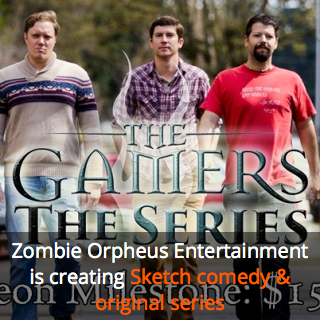 In case you missed it, The Gamers: To Be Continued short launched last week. 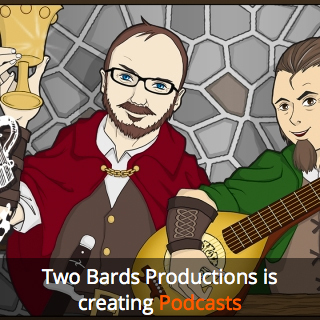 DG also gave a shout out to their friends at Two Bards Productions (Scott C. Brown and Andy Dopieralski) who released the a 50's educational style short Unit Testing: Is It Enough? And At hinted that the next episode of The Mayor will be coming soon. Part One Preamble and Part Two $! are available on ZOE's YouTube channel. Todd Downing and "The Collectibles" get a mention in this weeks City Living Seattle. P.S. Will you be posting pictures from GenCon of ZOE and affiliates caught in the wild? Of fans in cosplay? Please add #ZOEfan to your post and I'll try to collect the photo links in a future issue of ZOEverse.